Outdoor fireplaces are an amazing addition to any home, as you can see with this Houston TX outdoor fireplace. Every Houston TX outdoor fireplace is different, and here at Houston Outdoor Kitchen Pros we can customize any outdoor fireplace to satisfy our customer. Every material that use to construct our clients fireplaces is always of only the highest quality to guarantee reliability. Stone and wood are the most commonly used materials in our outdoor fireplaces. A combination of both can be used for what our customer desires for their outdoor fireplace, along with a combination of countless other materials to create the perfect fireplace. 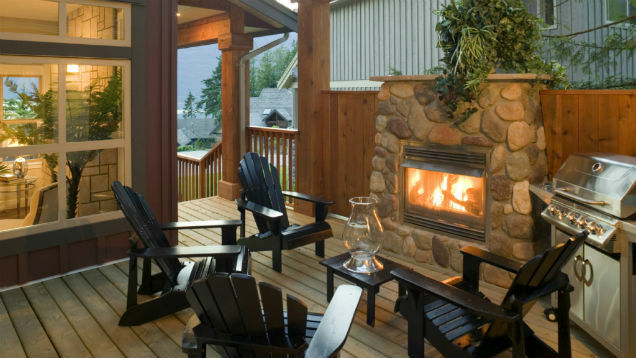 We take pride in the quality and beauty of our outdoor fireplaces. Contact us today for a free consultation at (832)409-3542 and start construction of your outdoor fireplace!